Modern manufacturers are always looking for new tools and technologies to help employees get innovative, high-quality products to market faster and cheaper. These tips give you 10 real-world examples of better ways to increase efficiency, decrease operational costs and improve product quality. 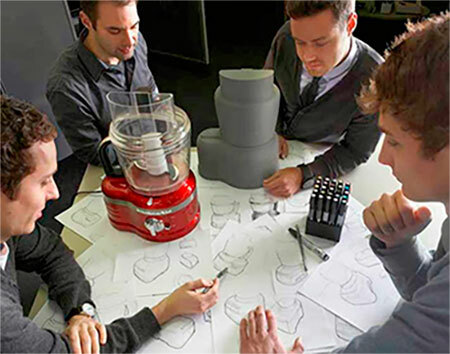 As the world’s leading manufacturer of home appliances, Whirlpool’s goal is “to move to where the consumer is headed, not where they are today.” G Suite allows Whirlpool team members to invent, share and collaborate without the help of IT in order to get innovative products to all their global markets faster. To speed your own products to market, product managers and designers can collaborate and share product designs, CAD files, research data, test data, quality guidelines, KPIs and mock-ups with internal and external team members in a secure workspace on Google Drive. They can manage activities with a shared task list in Google Sheets or a shared team Calendar and hold live video meetings with your suppliers in Google Hangouts to improve communications and reduce cycle time. We believe G Suite is helping us break down our geographical barriers and work together quickly, from anywhere. Read the story of Whirlpool. 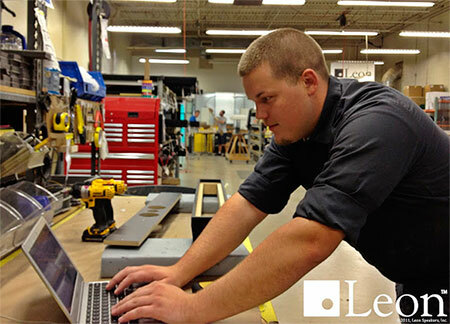 Leon Speakers was using cutting edge manufacturing methods to meet a high demand for custom audio systems, but the company’s laborious business processes lagged behind. G Suite was the ideal fix. The shop’s busy craftsmen could get up to speed quickly without a lot of training, and Google Chromebooks were so easy to share that the company deployed them to the shop floor for one-third the price of buying everyone individual laptops. With G Suite, you can give your team the tools to go deskless in the plant—or go mobile anywhere in the world. From the plant floor or the field, team members can use their phones, tablets or Chromebooks to access product specifications, CAD files, work instructions, training videos, manuals, quality-control checklists, regulatory documents, reports, and best practices stored in Google Drive and Google+. If employees or customers need an expert opinion, they can easily post a question on Google+. Because G Suite and Chromebooks are so easy to manage, I can spend less time as an IT administrator and more time doing what I love. Read the story of Leon Speakers. When Katz Americas expanded its beverage coaster business, its old work technology couldn’t keep up. Moving to G Suite quickly streamlined sales processes and Google Drive cut the average time to deliver customer estimates and mockups in half. Using Gmail and Google Drive mobile apps, a sales rep speaking to a customer at an industry event can now pull up a design on their phone, create a rough prototype on the spot, and email a quote within minutes. No matter where your sales reps are, they can use Google Drive to access current pricing databases, quotes, product configuration models, promotions, and other information on their mobile devices. They can have virtual meetings using Google Hangouts for face-to-face contact while saving time and money on travel. And they can track meetings, timelines and product updates with Google Calendar. G Suite lets us give our customers on-the-spot, personal service and that gives us a huge advantage over the competition. Read the story of Katz Americas. With around 90,000 employees in over 140 countries, Roche is the #1 biotech company in the world. To make it easier for all employees to collaborate more efficiently from anywhere, Roche moved the entire company to G Suite. Now, everyone can access the same files, documents and training resources from any web-enabled device around the globe. Does your company have to train workers across many locations, shifts and products? With G Suite, it’s easy to create a self-service training portal. Just store all your product launch videos, marketing campaigns, promotions, plant return policies and safety procedures in Google Drive, then embed the stored files in Google Sites. If you need live training, conduct a worldwide virtual training class with Google Hangouts. You can even record the training and make it available on-demand. G Suite will enable over 90,000 employees to work better together from anywhere. Read the story of Roche. When the electronics manufacturer Sanmina switched to G Suite in 2008, the goal was to reduce infrastructure, improve efficiency and cut IT costs. Google not only made those goals a reality, it also helped transform Sanmina into a modern company with a dynamic social environment where over 47,000 employees have formed 4,000 Google+ groups to collaborate more efficiently across 70 different locations. You can use Google+ social communities in your own organization to help team members learn from each other, share ideas to increase sales, generate best practices, provide feedback on new products, and create a greater sense of community. Read the story of Sanmina, view the infographics. With 80 manufacturing sites spread across three countries, it’s important that Shaw Industries employees can manage processes online from anywhere. G Suite helped them “go lean” by transforming slow, complex manual processes into efficient, fast-moving streams of information. For example, plant engineers keep machines running more efficiently and safely by using Google Drive to access and share equipment manuals and safety procedures from any device. You can streamline your plant processes by moving all your operations online. With Google Forms it takes only minutes to create online forms for product recalls, time off requests, supply orders, and more. For each piece of equipment, line schedule or task, you can create Google Sites pages and Google Drive folders with photos, assembly instructions, how-to videos and other files. Workers can easily access the instructions from shared workstations on the plant floor. G Suite has helped us ‘go lean’ by eliminating wasteful processes and improving information flow. Watch the story of Shaw Industries below. To gain better visibility into operations and accelerate project delivery, Adhunik Group turned to G Suite for an intuitive platform that fit its culture of productivity. Now, teams spread across different business units and locations use Google Sites as an internal project management portal to help them work together, track progress and optimize timelines. You can use Google Sites, Google Sheets and Google Calendar together to create a dynamic schedule that lets teams plan and distribute tasks, track their completion, and manage exceptions all in one place. Team members can access the schedules remotely from mobile devices or computers and directly add comments or change their status. What we needed was a reliable, intuitive platform in line with our culture of productivity. We found our solution in G Suite. Read the story of Adhunik Group. The robotics toy company Orbotix is always looking for tech savvy people to add to its team, so they count on cutting-edge G Suite to create a great first impression throughout the recruiting and onboarding process. G Suite not only impresses new employees with simple and intuitive interactions, they can also improve your bottom line by shortening the recruiting and onboarding process. Start by having candidates apply using Google Forms then conduct interviews from anywhere in the world with Google Hangouts. When you find the right candidates, streamline the onboarding process with a Google Sites website that consolidates new employee checklists and onboarding tasks in one place. The kinds of people we're looking for expect us to use cool and cutting edge-technology like G Suite. 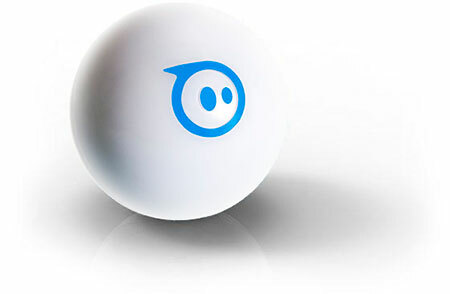 Read the story of Orbotix. At POSCO, the fifth largest steel company in the world, G Suite is part of the Smart Workplace initiative put in place to ensure that employees are engaged, empowered and given every opportunity to succeed in the global business environment. Now, with easy access to over 10 million documents, employees are working together more frequently and with better results. To help all your employees work more efficiently, keep all your internal news, executive blog posts, project schedules, product documents, online forms, training content, and more in a single Google Sites website. It’s a one-stop destination for important information that any employee (or just a select group) can access anytime, from any device. With G Suite, our organization has more flexibility to work together at all levels within the company and collaborate easily and effectively across businesses and borders. Read the story of POSCO. When Briggs & Stratton realized poor communication was creating inefficiencies in its manufacturing process, they moved to G Suite to help employees be more effective. For example, engineers replaced error‐prone production line manuals with photos, how‐to videos and Google Docs that are always secure and up‐to‐date on Google Drive. Do you need to get input on work instructions from various teams while avoiding version control and edit-locking issues? You can collaborate on the instructions in real time using Google Docs, Sheets and Slides then use Google Drive to securely share the finished product with internal and external users. Drive syncs any changes to the cloud so everyone is always accessing the latest content. Google is helping us streamline our manufacturing and business processes at a time when we have unprecedented product and corporate growth. Read the story of Briggs & Stratton or watch their testimonial in the Disrupt or be disrupted Hangout On Air. Want to continue the discussion?